Learning Management, Performance Management and Succession Planning Are All Connected. Shouldn’t Your HCM Solution treat them that way? 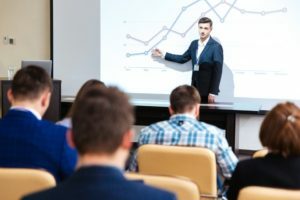 Employee training and development are vital components in employee success and long-term career growth, which contribute to engagement and retention. Of course, this all translate to a more successful business both in attracting new customers and employees, as well as delivering better financial results and corporate outcomes for shareholders. When employees feel like there is a plan in place to help them grow, they feel much more vested in helping their employer to succeed. With Checkmate HCM, you gain a single source solution that will not only help you in tracking employee training, certifications and progress in other defined areas of development, but aids in effective shift scheduling based on skills, identifying future career track, maintaining accurate performance records and making the best use of training and tuition reimbursement budgets. All training data ties into their individual performance review via the Performance Management module, which aids managers in not only ensuring they provide timely periodic reviews, but also provides tools and data for impromptu discussions and continual feedback on ongoing performance and goals. By also tying into Compensation Management and Employee Engagement and Retention data, HR, managers and the c-suite can also gauge the effectiveness of any strategic pay incentives and other employee motivation and talent management initiatives for both historical performance and real-time visibility in addition to having vital data right at their fingertips for strategic planning and budgeting. Building the right Human Capital Management solution today, will help you better assess your workforce today and build the right team for the future.